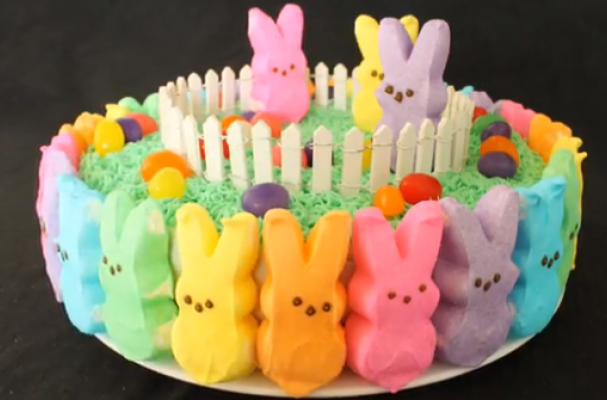 This rainbow Peeps cake is a festive Easter dessert. You can make this cake using a boxed cake mix or your favorite recipe. The same goes for the frosting. If you are new to cake decorating, this project is great for beginners.